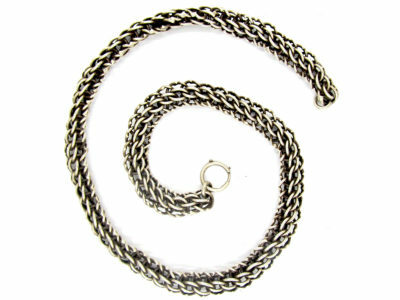 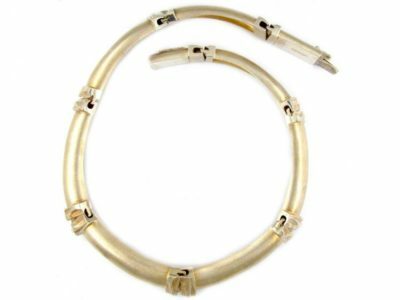 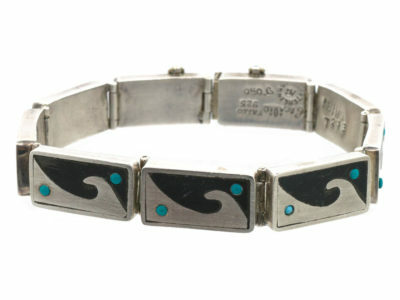 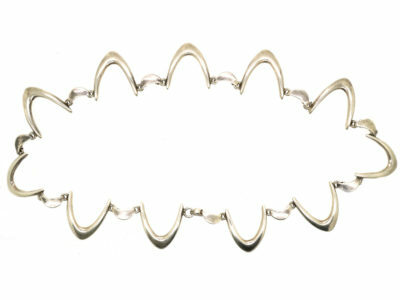 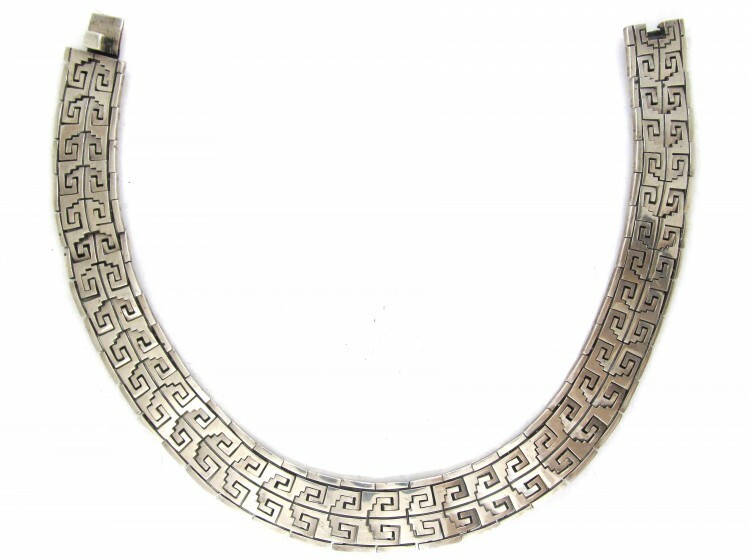 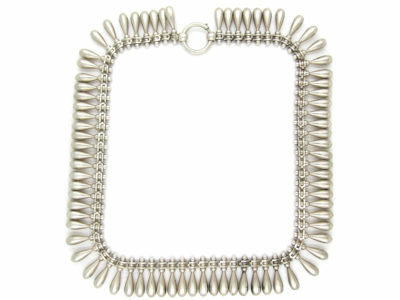 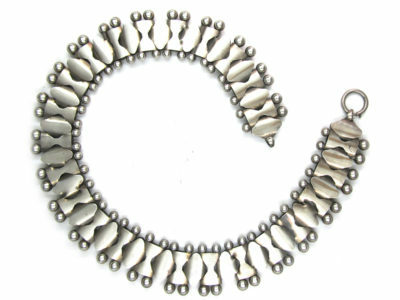 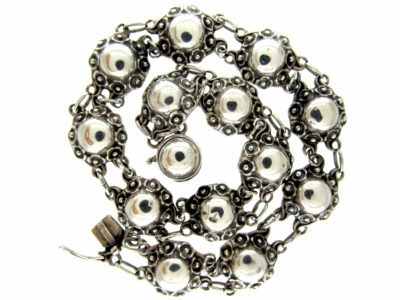 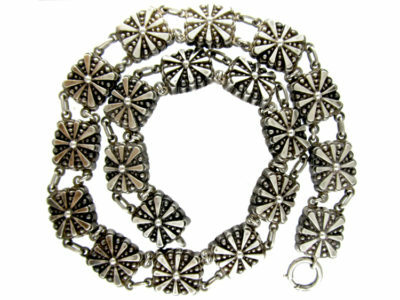 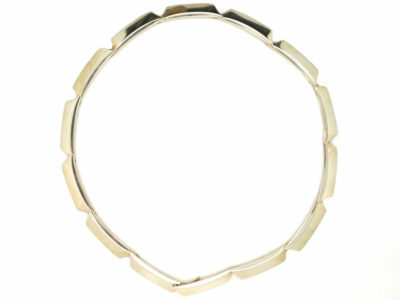 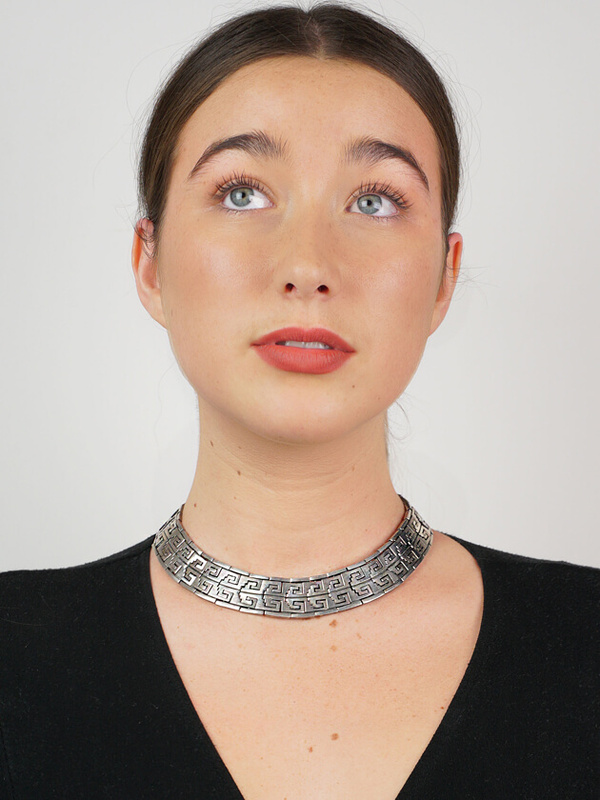 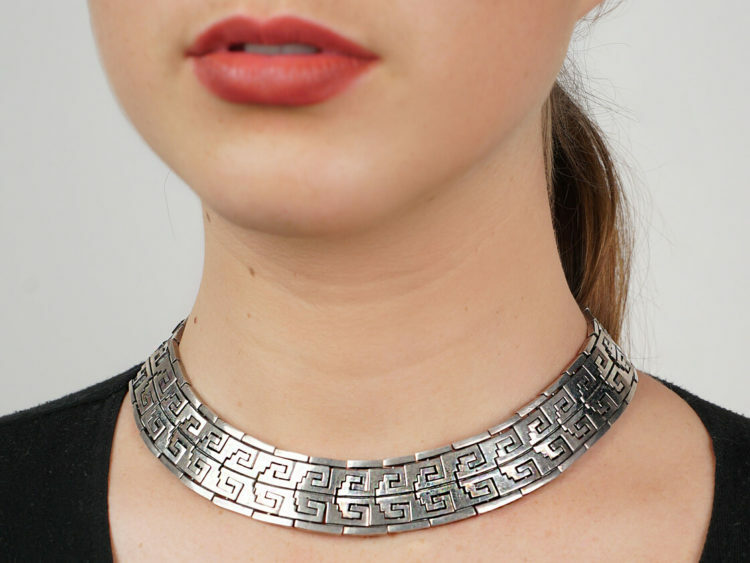 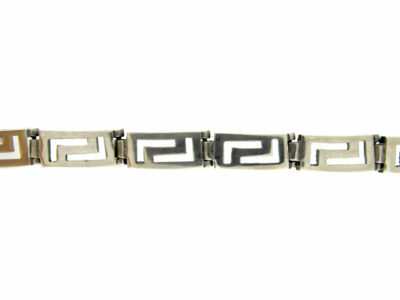 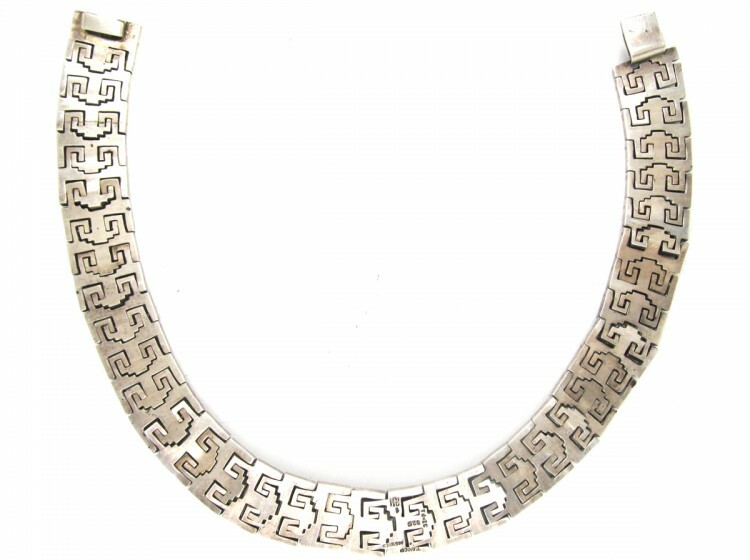 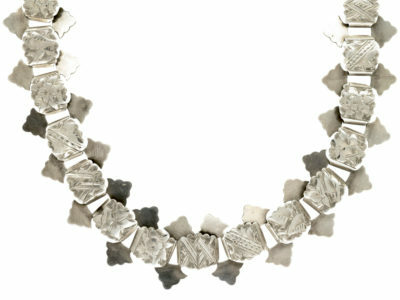 A stylish and striking Mexican silver collar made circa 1950-1960. 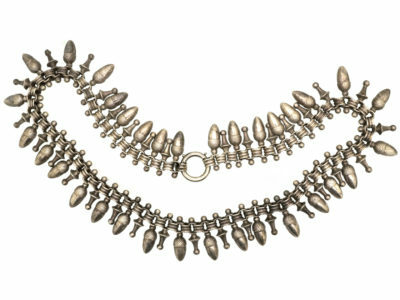 The design is inevitably based on Amer-Indian motifs and the whole necklace articulates in a curve around the neck. 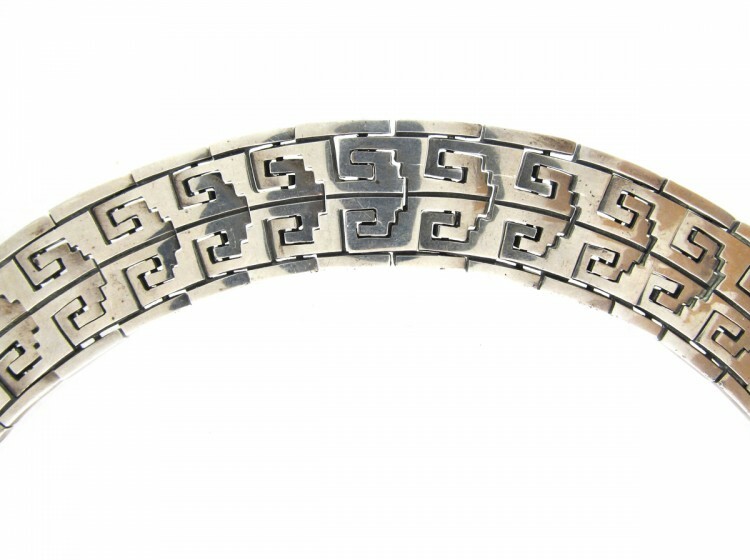 It was made in the town of Taxco, well known for its brilliant makers.